Put the flour into a large mixing bowl. Form a deep well in the middle and add the water and oil. Add the yeast, salt and sugar to the sides, keeping them apart. Then mix the ingredients with a wooden spoon until you have a large clump of dough you can turn out on to a work surface. You now need to knead! Work the dough with your fingers and palms, rolling and kneading it for several minutes until it is a silky smooth texture. For the first couple of minutes expect the mixture to be gooey and sticky. It will be sticking to your fingers and to the work surface. It is not a comfortable experience if you are new to it and the temptation will be strong to add more flour - DON’T! Just work through it and the stickiness will go and the dough will become more workable by the minute. This applies to any bread-making, and it is the major reason why most people end up making rubbish bread. Embrace the stickiness! When you make khachapuri you need to put love and passion into it. You are probably thinking that sounds stupid. 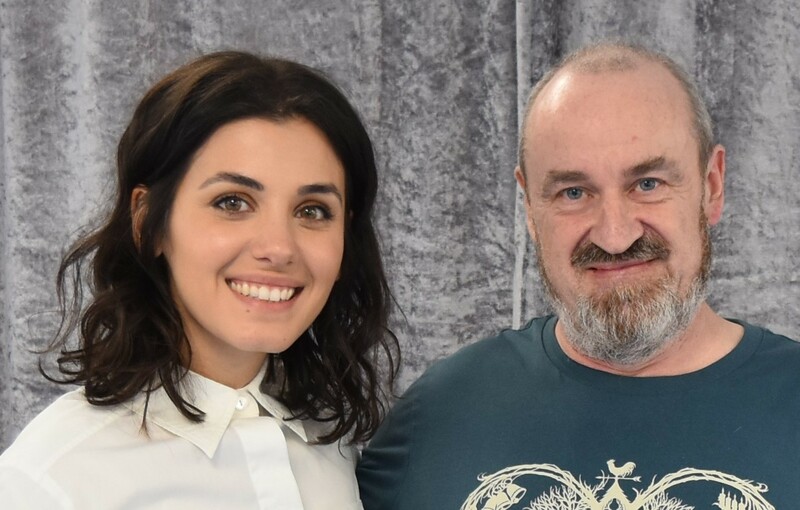 But think for a moment about anything you do in life, whether it is your work or a hobby like painting or gardening - if you put your heart and soul into it, do it with passion, then you achieve far greater results. Baking is no different. If you make it with love it will taste better; there’s no scientific evidence I can point you to, it’s just the way things are. Trust me or ignore me, your call. Once you can form your dough into a smooth ball place it in a lightly-oiled bowl, cover with cling film and leave in a warm place for at least an hour. The dough should roughly double in size. Place it back on the work surface and cut it in half. Each half will make one khachapuri, so you can either make two now or put half the dough in a plastic bag in the fridge, or even freeze it. Roughly flatten out your khachapuri dough into a thin circular shape. 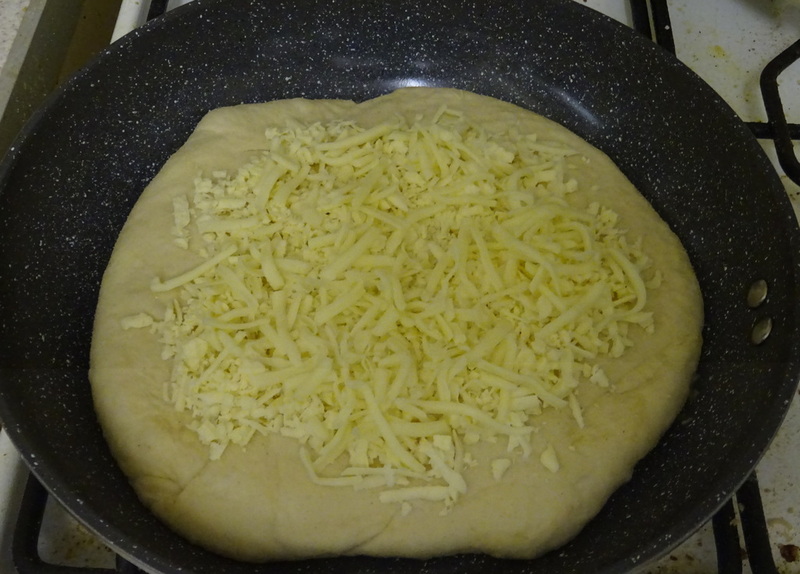 Mix the two grated cheeses together and add about two thirds of it to the centre of your dough. Fold in the edges of the dough until they meet in the middle, where you can pinch them together. You should now be able to carefully roll out the dough into a flat circular shape once again. Take care not to allow any splits or gaps where the cheese can escape! 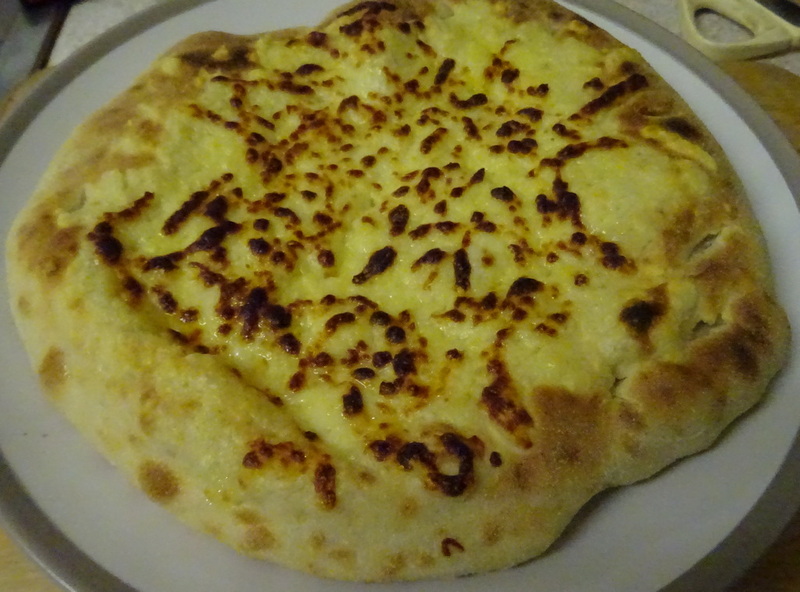 Just like pizzas or naan breads, khachapuri really needs the right kind of oven and unfortunately it isn’t the kind most people have in their kitchen. If you happen to have a pizza oven, great, use that. Otherwise I recommend pan frying. A heavy stone-ceramic pan is ideal. Place your khachapuri in it and add the remaining cheese on top. Don’t use any oil by the way. Bake it on your hob, full heat, for around three minutes. You can lift it carefully with a spatula to check it is browning but not burned. Then take the frying pan and place it under a preheated grill, again for two or three minutes until the cheese is bubbling and browning. If the whole thing begins to puff up you can prick it with a knife to allow the air to escape.